Congrats on your new adventure! ! ! Welcome to our family , and Happy Camping ! ! Congratulations. You will be able to find a lot of help on this site. Welcome to the Redwood family, and congratulations on your purchase! 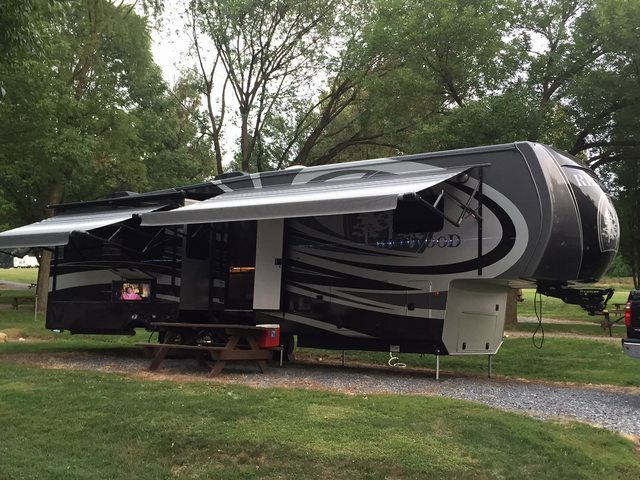 We love our RW home, and our full-time rv'ing lifestyle. Happy trails to you guys. Folks on this forum are a great source of information...don't hesitate to ask questions! Congrats and welcome to the Redwood Family!! Welcome to our group !! We are biased but happen to consider a 36RL one of the best !! Have pulled ours a lot of miles and many more to come. Congrats and welcome, we are kinda new bee"s ourselves, having retired in Nov 2015, now living full time in RV, and traveling and enjoying ourselves. All I can say about this group is a great bunch of people with a great wealth of knowledge, so when those little problems occur you can get advise. I would advise pay attention to forums and recent treads, as you learn how to spot and solve potential problems, as it seems one Redwood is pretty much like any other Redwood. Have a great time enjoying your new Redwood.